Hold on to your hats, the San Roque Romeria (Procession) is one of the most authentic fiestas of the islands, attracting thousands of people every year. 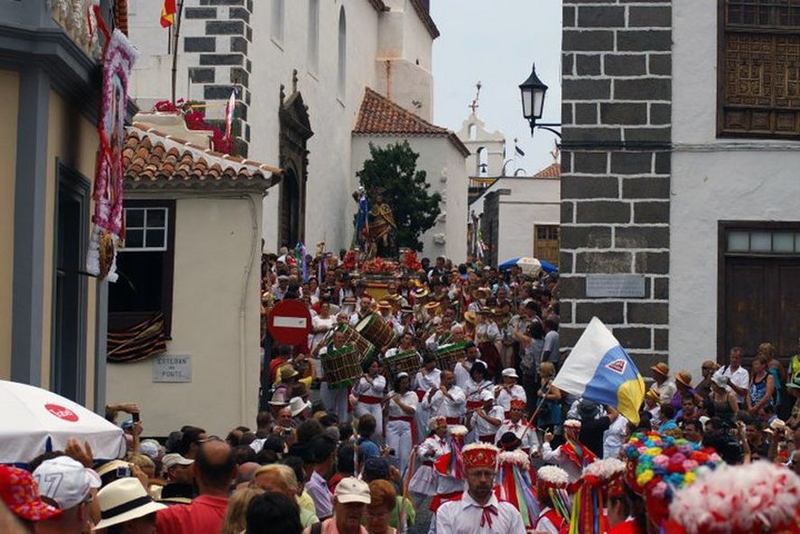 This all day and most of the night traditional party sees residents from all over Tenerife don their traditional island wear and head to the picturesque port town of Garachico in the north-west for dancing, singing and much merrymaking. The procession is originally a religious pilgrimage where the figure of the saint is taken to the Santa Ana church where a religious service is held.